With a myriad of adventures and experiences awaiting travellers, the tours and activities market is booming. Travel activities account for 9% of global travel revenue and this segment is growing faster than the total travel market. However, no longer does a ‘one size fits all’ approach work and travellers want to choose the options that best suit their interests, schedule and budget. To respond to this, Amadeus today launches Amadeus Destination Content, a user-friendly marketplace that allows travel agents to book and purchase destination content via their preferred booking platform - Amadeus Selling Platform Connect. Thanks to partnerships with City Discovery (a VELTRA® company), TurboJET, World Airport Transfer, and Jayride, Amadeus Destination Content offers in excess of 9,000 unique tours and activities, airport transfers for more than 1,000 airports worldwide, and ferry services for major destinations in Asia Pacific. 1. Save time – travellers no longer need to check prices and options with various providers and can instead book their tours and activities directly with their travel agent who can easily access all the content they need in one marketplace. 2. 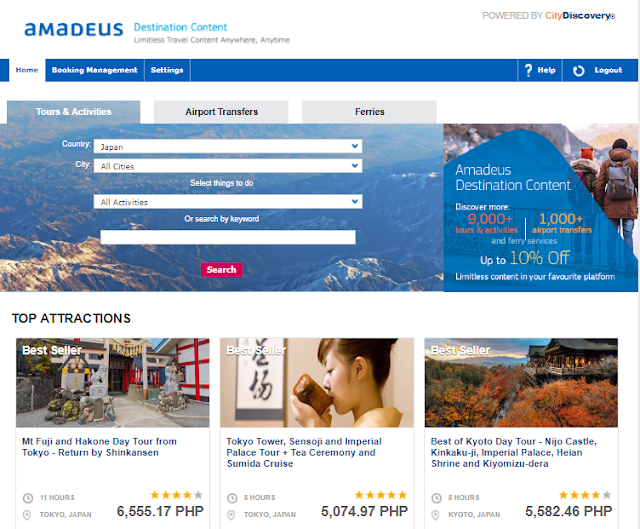 Save money – prices in Amadeus Destination Content are up to 10% lower than the retail price. 3. Peace of mind – 24/5 customer support by phone and email for travel agents provided by City Discovery. 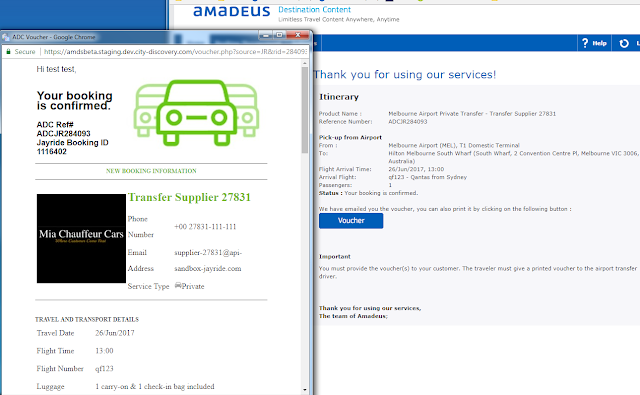 Already launched in Philippines, Amadeus Destination Content is gradually being rolled-out in Australia, Singapore, Malaysia, Hong Kong and Taiwan. If you’re interested to find out more, please contact your Amadeus Account Manager.